Recently, Google launched AdWords Editor 12. It’s the latest upgrade to the essential software used by PPC practitioners. With its new useful features, it’s truly a welcome upgrade. It also marks a huge improvement to the platform since the last version introduced in 2014. Here’s what you need to know about the new AdWords edit. This program is free, and you can download it as an app so you can edit your campaigns quickly. What’s great about it is that you have more control over your edits. Plus, you can work on your campaigns even if you’re offline. The Editor 11, released in 2014, brought several changes, such as allowing users to make bulk updates to their multiple campaigns at once. We saw significant improvements in version 11.9, as it allowed connecting up to five AdWords accounts to one email. Version 12 is more aesthetically pleasing — its new look aligns with the rest of Google’s suite. It’s a bit late for the company to do so, but still, it’s a welcome effort. Google announced the new version and highlighted that is has a bunch of new functionalities. One of its new features is the maximize conversions for bidding. This allows users to use the company’s machine learning technology in setting bids automatically. As a result, you can get as many defined conversions as possible based on your daily budget. 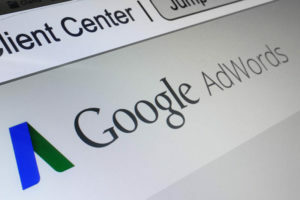 This new AdWords editor ensures that advertisers will follow Google best practices. It can tell whether or not your campaign falls below its standards before you can upload it to AdWords, saving a hassle and increasing standards at the same time. You can now add your logos, price prefixes, and CTA text. This latest version also includes multimedia UAC support, and lets you upload creative assets, while the tool generates the most suitable video or image to promote your ad to users across Google’s range of products. Unfortunately, this new version doesn’t really deliver newsworthy features. Nevertheless, AdWords Editor 12 offers several features that can help you boost your campaigns on Google. Do you need help managing your AdWords account? If so, please give us a call. Our staff is ready to assist you in starting a new AdWords campaign, or editing your existing campaign using the latest best practices.